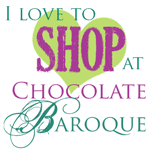 In October I will post three times a card as guest designer for Chocolate Baroque. I am very pleased to do this. 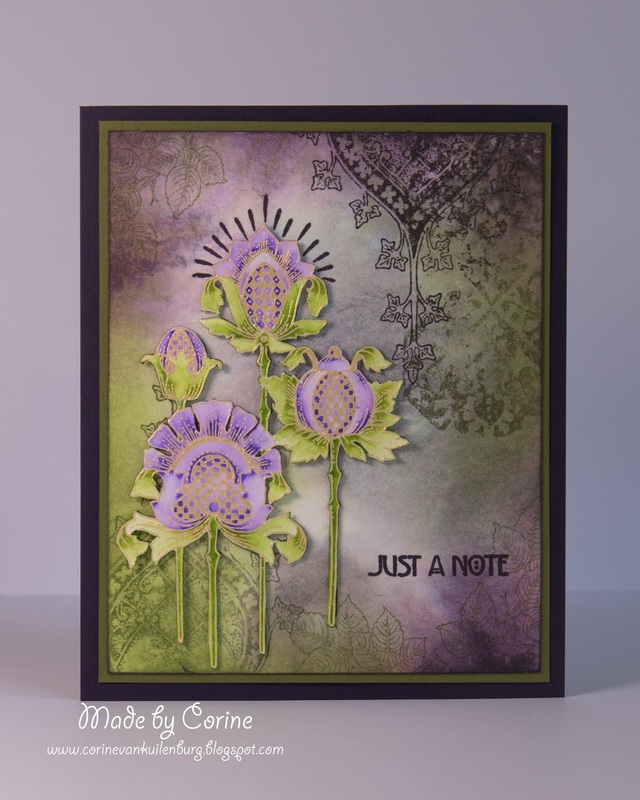 My first project is a card made with a Memento Inks and embossingpowder. Apply Memento dewdrop Gray Flannel, Espresso Truffle, Bamboo leaves, Lavender and Elderberry to acrylic block. Spray wet. Print the acrylic block on watercolor paper. Stamp the background stamps with the colors you have already used. Emboss flower with gold powder on watercolor paper. Color it with markers. Cut out and stick on your paper. Stamp the text on the card with Elderberry.